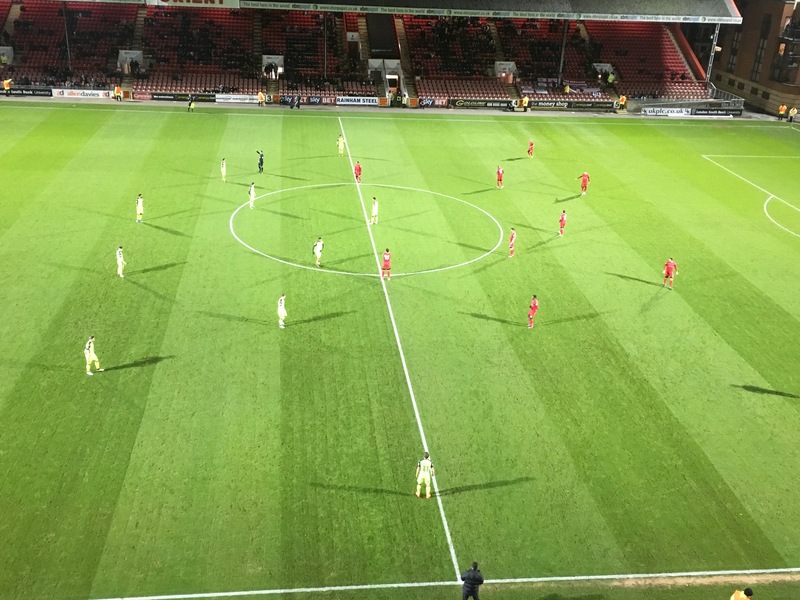 Leyton Orient sink to their eighth successive home league defeat, after a 1-0 loss to Exeter City at The Matchroom Stadium. Ollie Watkins got the only goal of the night for Exeter in the first half with a close range strike to take them off the bottom of the table, as Orient flirt just above the relegation zone. Alberto Cavasin made two changes to his side that lost 2-1 at home to Blackpool, as Myles Judd got his first league start for the club with Yvan Erichot out injured. Paul McCallum’s late impact on Saturday earned his call up to the starting eleven, ahead of Ollie Palmer who moved to the bench. Exeter took the lead 25 minutes in, on the break as Liam McAlinden long deep cross found David Wheeler, who put the ball across goal for Watkins to slot into the far corner. Orient almost struck straight back, after a sloppy back pass by Exeter played Jay Simpson in down the left flank but held the ball up, as Christy Pym rushed out and the opportunity closed with his pass going astray and was cleared. Gavin Massey was brought down just outside the box, as Nicky Hunt stepped up and fired the set piece just over the bar. Exeter thought they had grabbed a second, as McAlinden whipped in a ball on a plate for Watkins unmarked inside the box but his header went wide from six-yards out – despite the offside flag. Orient’s Alex Cisak came to collect a high ball which he miss-timed, with Wheeler waiting to poach he lifted the ball across the box which was half cleared by Hunt and the danger eventually cleared. In added time of the first half, Michael Collins burst into box for the O’s and cut across a teasing ball but Exeter Captain Jordan Moore-Taylor did enough flick it away for a corner. 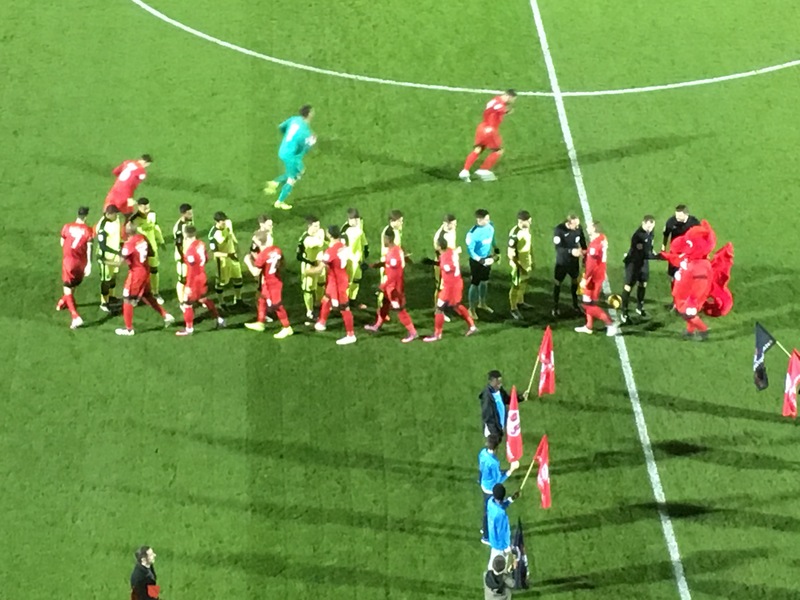 In the second half, Orient made a double substitution as Callum Kennedy and Captain Robbie Weir were replaced by Sandro Semedo and Alan Dunne. Exeter nearly extended their advantage, as Watkins was in space just inside the box and slotted it into McAlinden who turned his shot goal wards but was saved at the feet of Cisak. Orient should have equalised 67 minutes in, as Massey’s low ball across goal was slotted towards goal by Nigel Atangana but stopped by Pym. Atangana got to the second ball and his shot rebounded back off the defender and fell to Simpson from close range whose shot was blocked and went over the bar. Brentwood Town will now face Biggeswade Town at home in the FA Trophy after a feisty 2-1 away victory in the replay against Redhill. Sherwin Stanley grabbed a brace for ‘The Blues’ with one in each half which cancelled out a Joe Bingham header to put Brentwood into the first qualifying round. The first opportunity of the game came just after the half hour mark for Redhill as a ball curled in to the edge of the box for O’Flaherty which shot was over. Brentwood had their first opportunity minutes later as Bantick found Stanley whose left footed shot was saved by Hunter. ‘The Blues’ made a great move almost count as Rees fed in Stanley who let it run for Lomotey and his shot went narrowly over the bar. The away side had a corner taken by Rees which was met by Stanley and headed just over the bar. As the break approached Rees’s whipped in corner found Lomotey which he volleyed over from the six yard box. In added time Brentwood grabbed the lead as a throw in fell to Lomotey who knocked the ball to an unmarked Stanley to knock it in the bottom corner. Redhill equalised five minutes into the second half as O’Flaherty’s free-kick was drifted into the far post and headed back across goal and in by Joe Bingham. Brentwood regained the lead two minutes later as Bantick’s long ball over the defence for Stanley to slot past hunter. 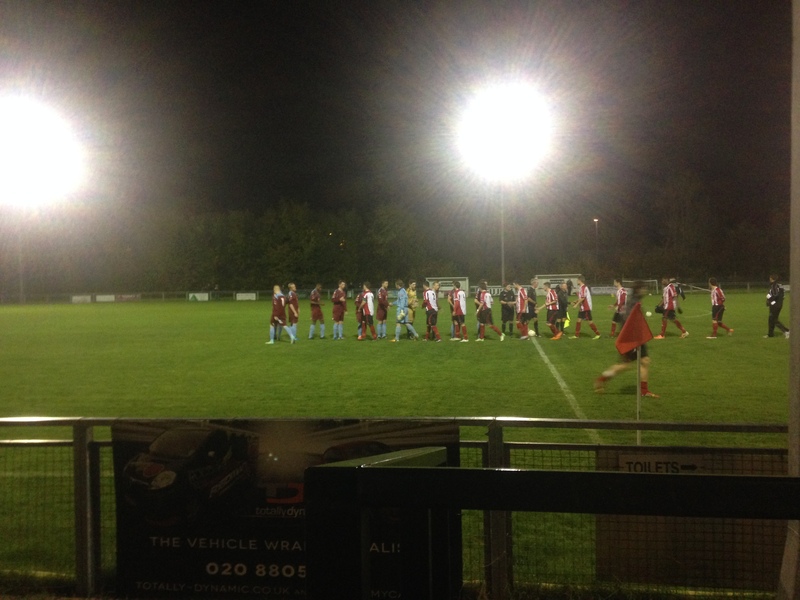 Redhill hit the post 67 minutes in as Mcardle’s free-kick rattled off the left post and cleared away by Brentwood. Joslin almost extended Brentwood’s lead as he slotted in Bantick who beat the offside trap but could not beat Hunter as he blocked it with his body. Bantick could have sealed the game four minutes to go as Mbulu put him in but his shot went wide. In injury time Joslin was given a second yellow and sent on his way which had Brentwood’s backs to the wall but saw out the four minutes of added time.